Crown Dental Group offer a range of denture solutions to address your individual needs. Do you want a beautiful, fully functional smile? If ignored, a missing tooth can quickly transpire into a range of adverse health problems, including teeth movement, dissolving jawbone and more extremely, a sunken facial appearance. If you priortise your dental health now, you can save yourself from these devastating effects. If you’re unhappy with your dentures, suffering discomfort, experience difficulty eating or speaking, or simply displeased with the appearance, Crown Dental Group can help. Contrary to popular belief, high quality dentures do not involve messy adhesives, annoying cleaning routines and the embarrassment of slipping out. Instead, they offer a comfortable, sturdy and incredibly natural-looking solution for a single missing tooth, multiple and full mouth restoration. Are you searching for a cost-effective, more favoured alternative to dental implants? Thanks to modern advancements in dental technology and high-quality materials, the Crown Dental Group’s range of denture devices may be your solution. 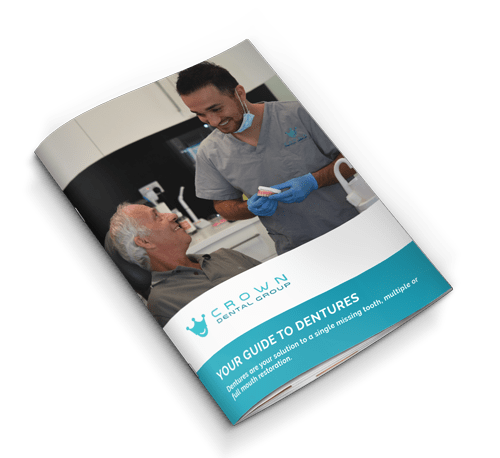 To find out more about our range of denture solutions, which option is right for you, and to see some of our amazing before and after – download our free guide! 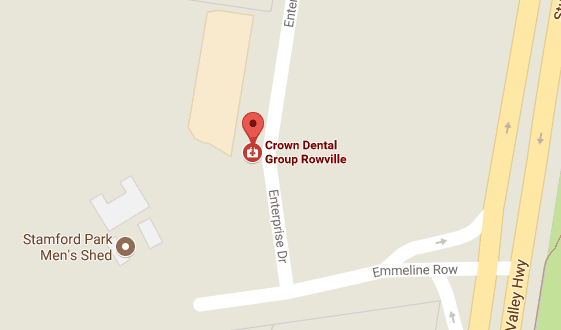 Get in touch with the team at Crown Dental Group today to book a consultation!